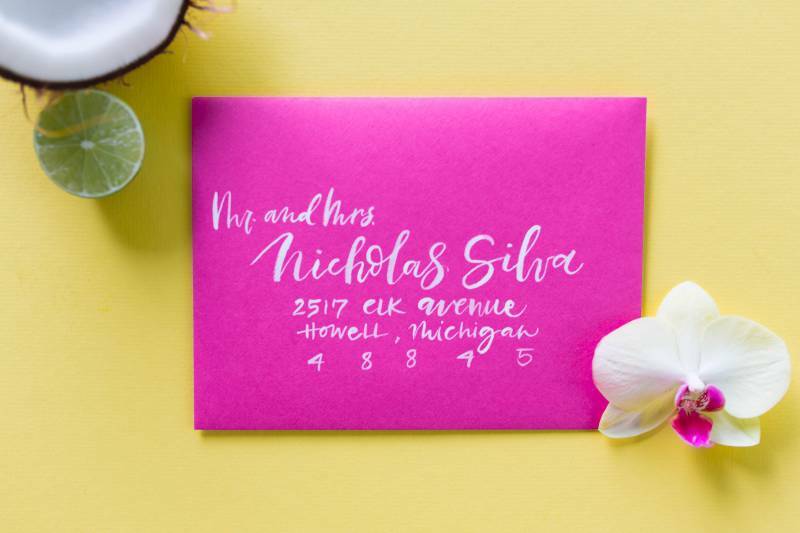 Oh, a tropical paradise would be fabulous right about now! 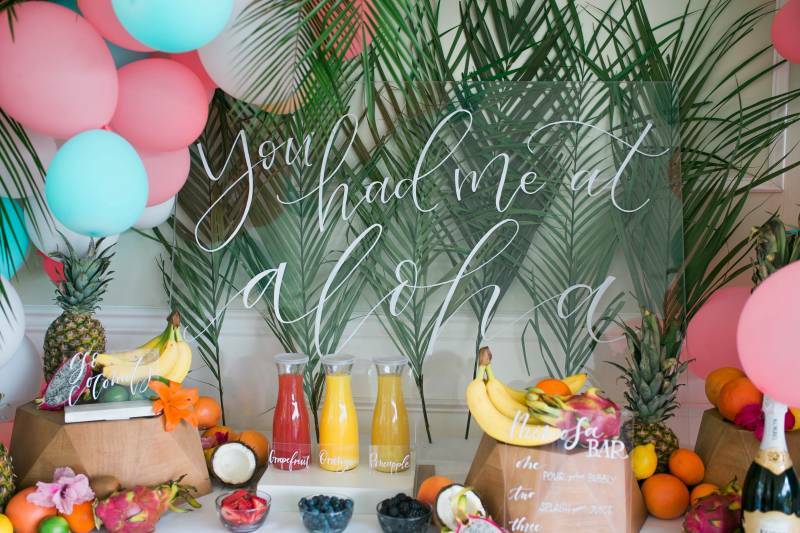 And although we don't have beaches and palm trees here in Nashville, Raela of RSVP Event Designs created a scene set in Hawaii right here in our city! 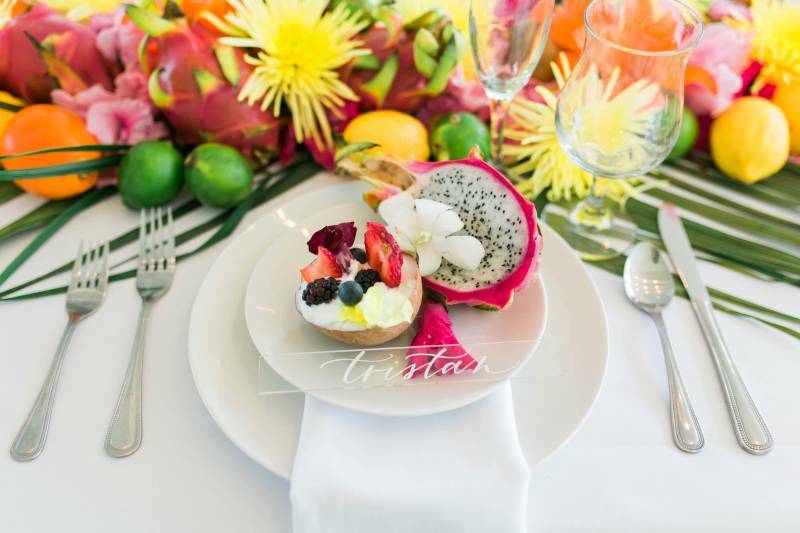 From palm fronds to tropical florals to the bright dragon fruit details, I'm loving this out of the box take on a Nashville wedding! 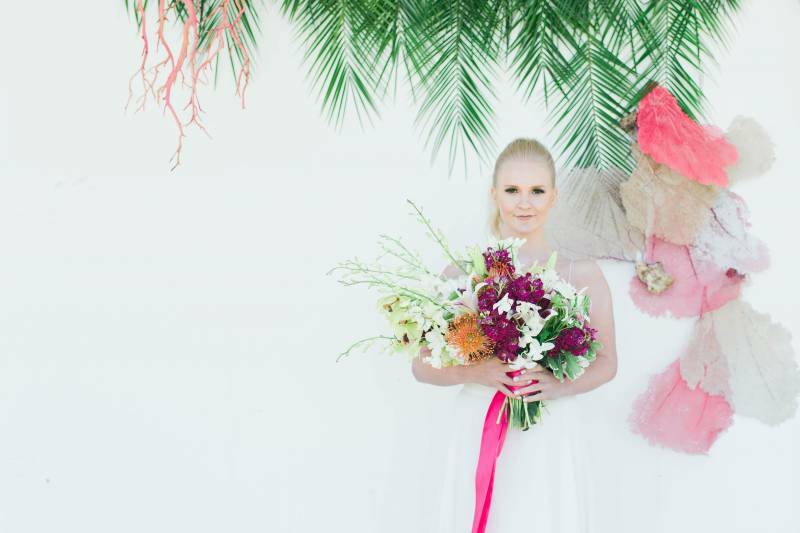 Below, Raela explains how you can transform your wedding venue into whatever scene you'd like! 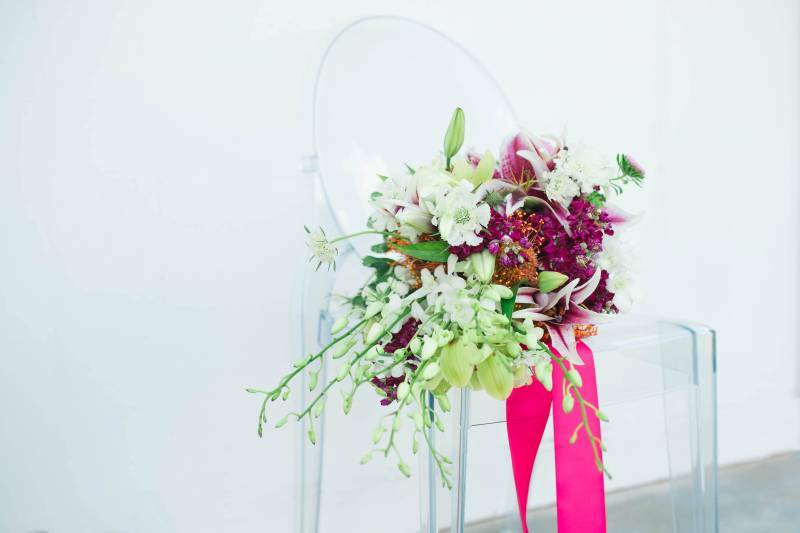 From the photos, it's hard to tell this was shot in a historical mansion from the Greek Revival period - The Clark House. 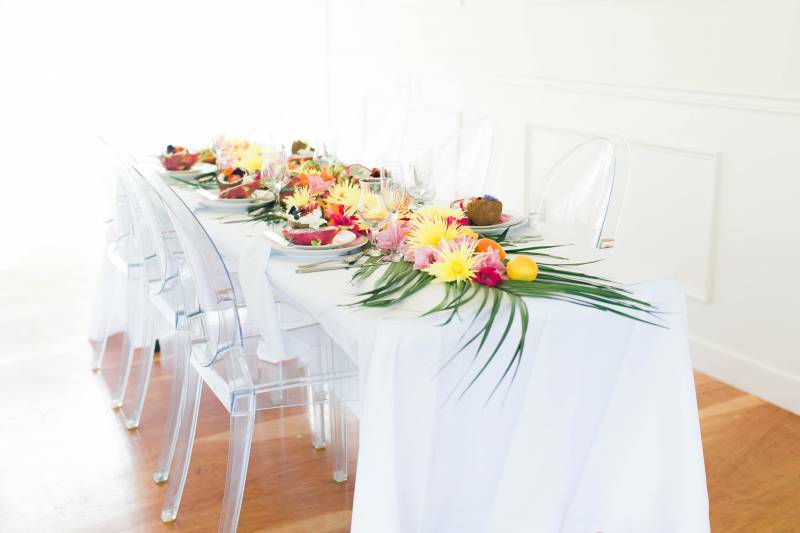 However, the clean modern lines mixed with the ultra-fun and bright decor give this shoot the exact punch it needs. 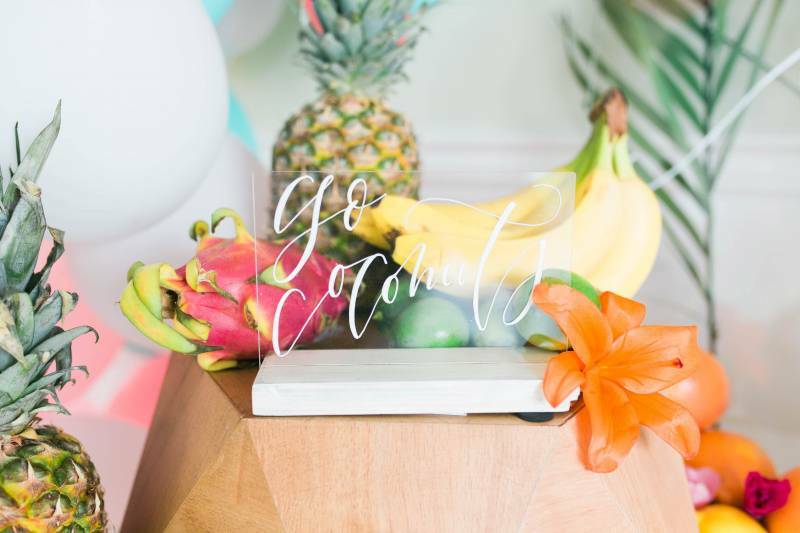 So grab a mimosa, pretend like you're on the beach and keep scrolling for more fun tropical wedding inspiration with Morgan Franklin's photos! 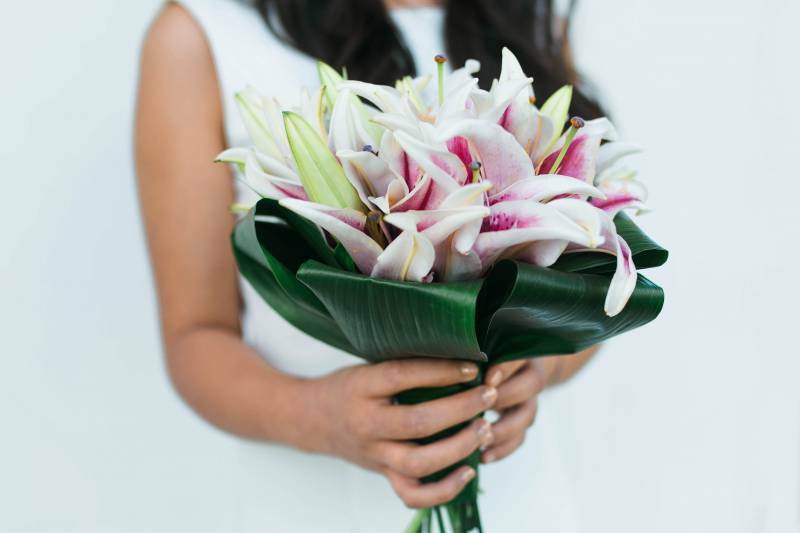 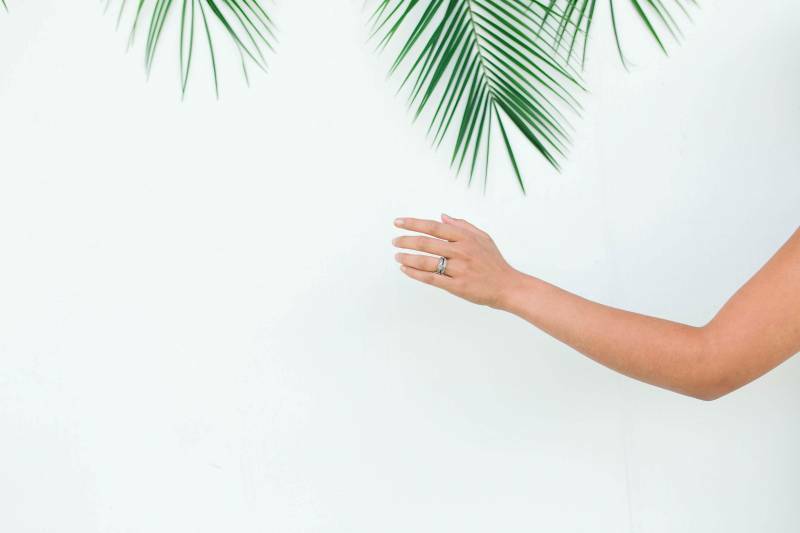 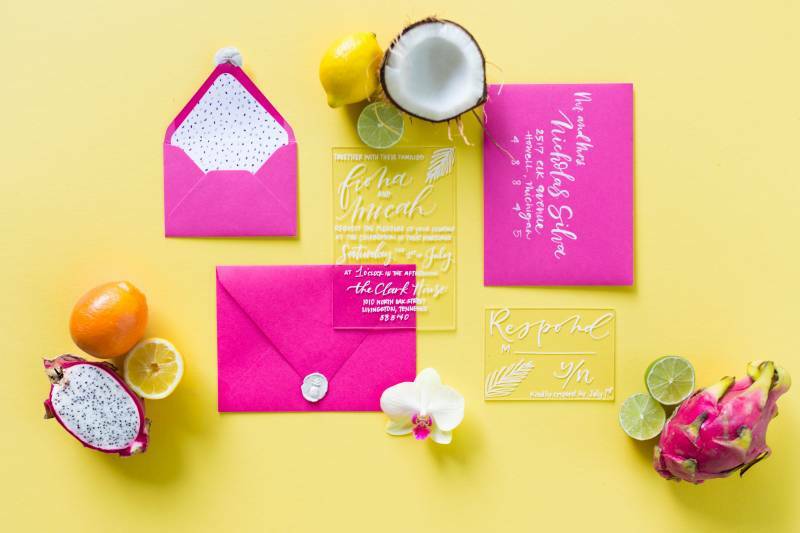 From the planner + designer, Raela of RSVP Event Designs: This summer, brides are loving tropical weddings washed in bright, fun color. 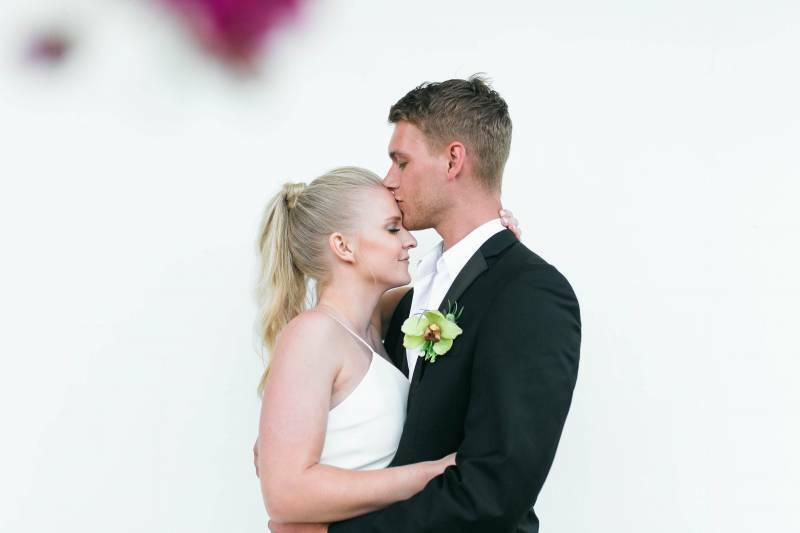 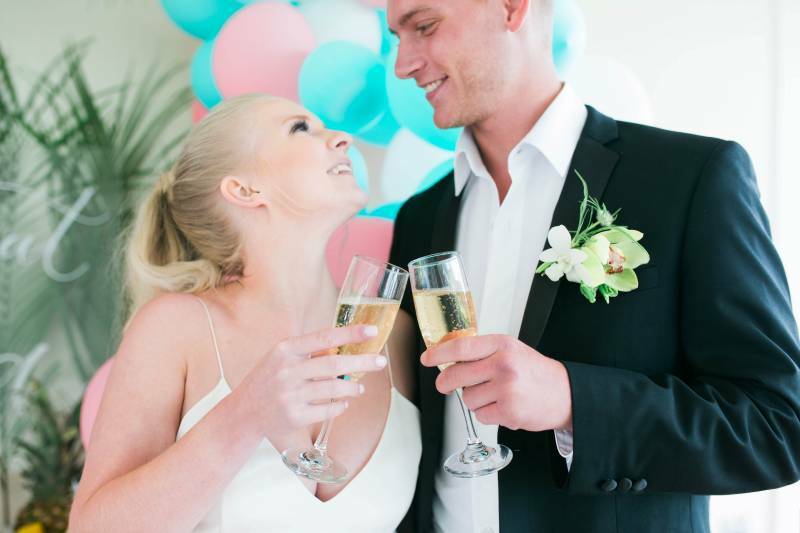 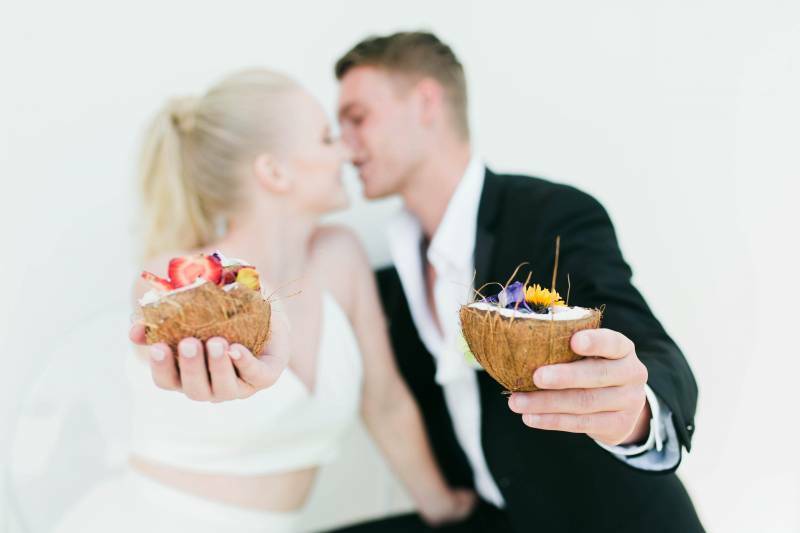 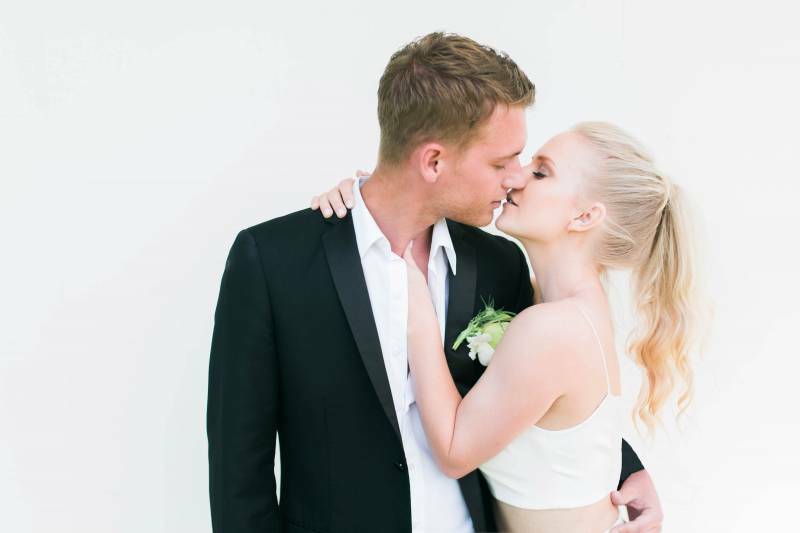 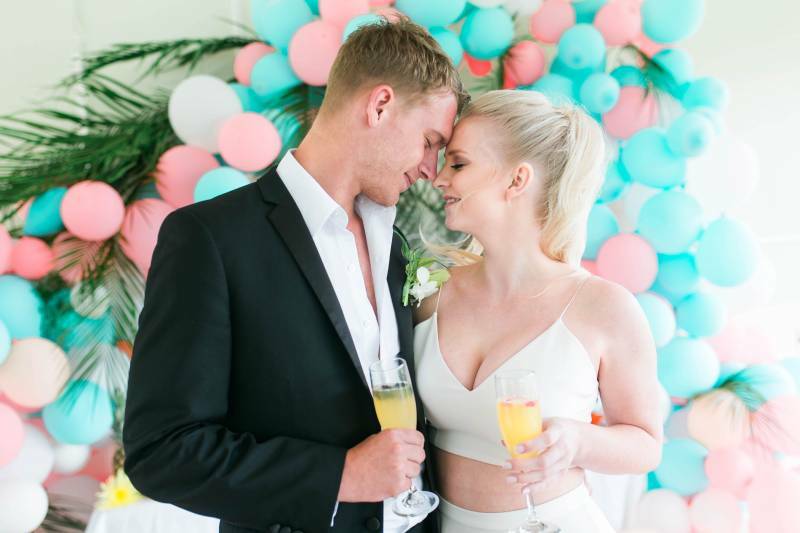 However, not every couple can make a tropical wedding locale work, whether it's due to the availability of family members, a long guest list, the travel expenses, or any of the other reasons that make a tropical destination wedding seem out of reach to some couples. 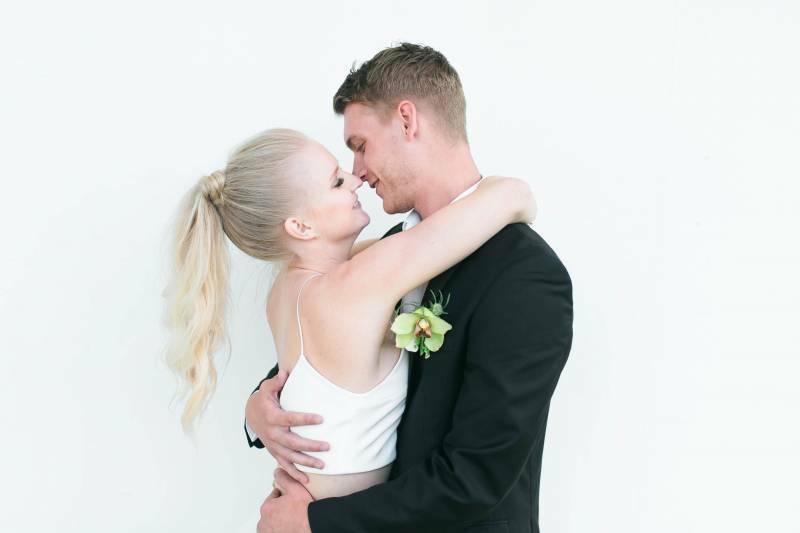 So I wanted to focus on how couples can make their venue their own. 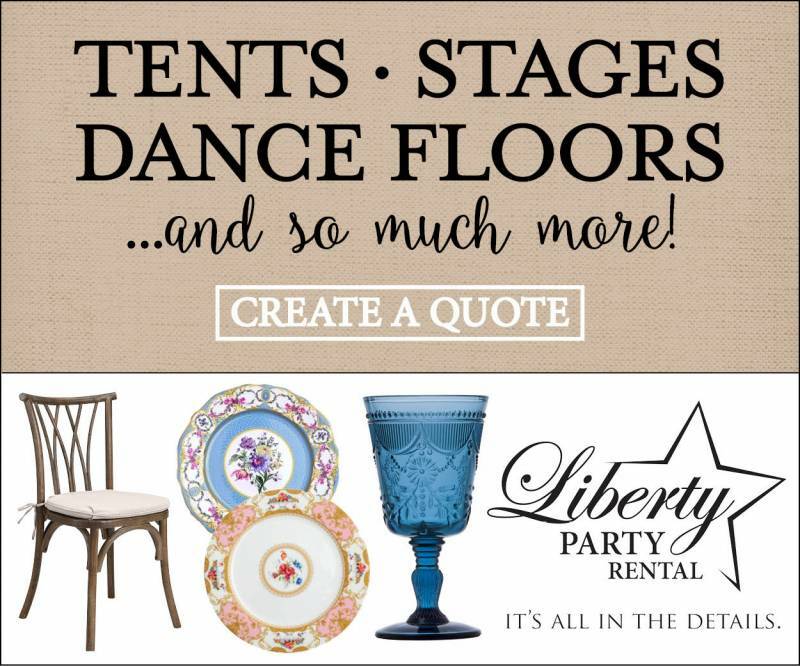 With a little creativity, your venue becomes a blank canvas. 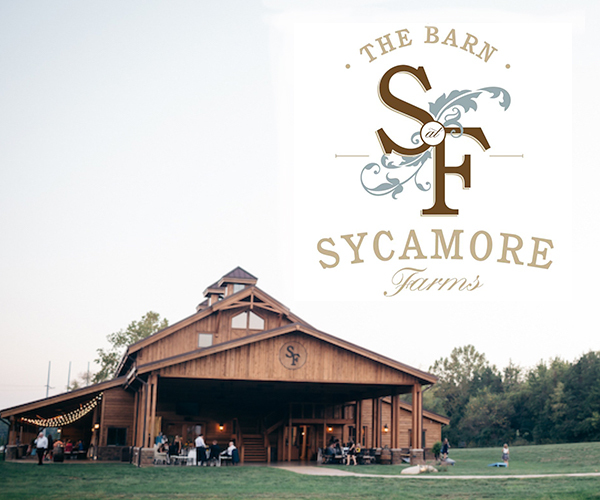 I wanted to take a concept brides are loving and apply it to a venue with a completely different vibe. 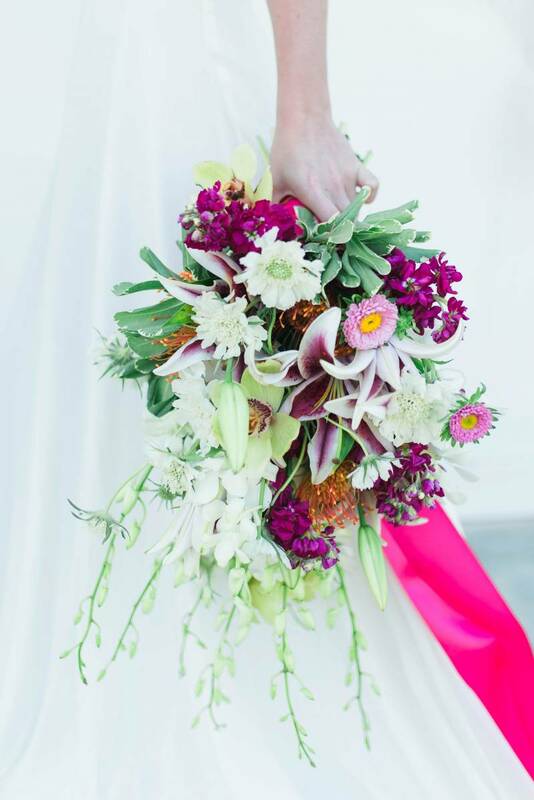 I chose The Clark House, a Greek Revival venue in the rolling green hills of Tennessee filled with Southern charm to create a tropical getaway. 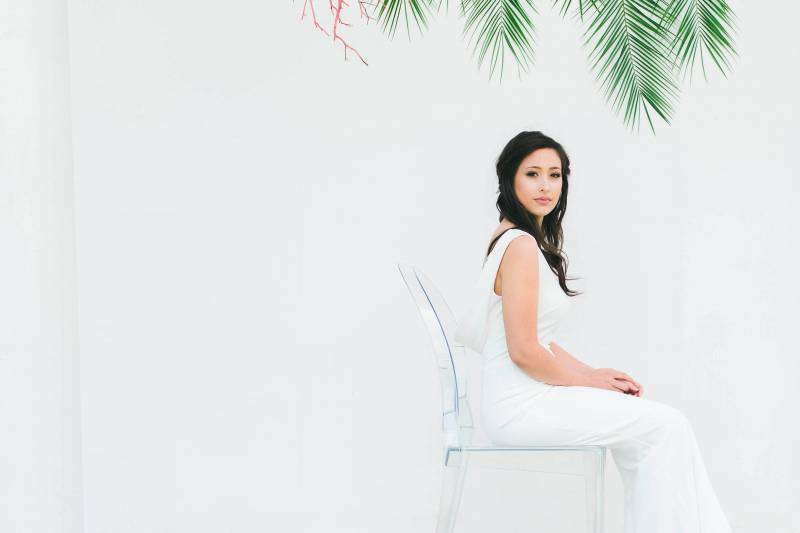 Raela of RSVP Event Designs on the styling and decor: I started with a bold color palette, airy elements, and clean lines to set the mood. 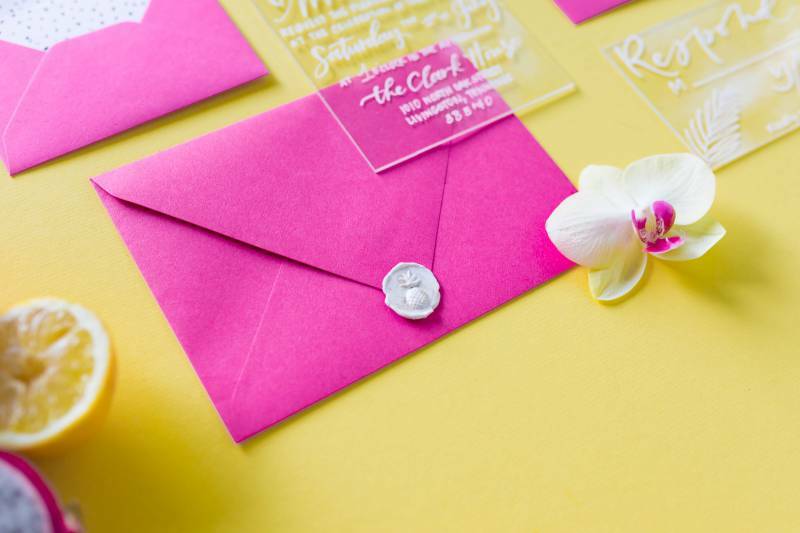 The invitation suite makes a fun first impression with hot pink envelopes, white pineapple wax seals, watercolored dragon fruit print envelope liners, and acrylic invitations and RSVP cards. 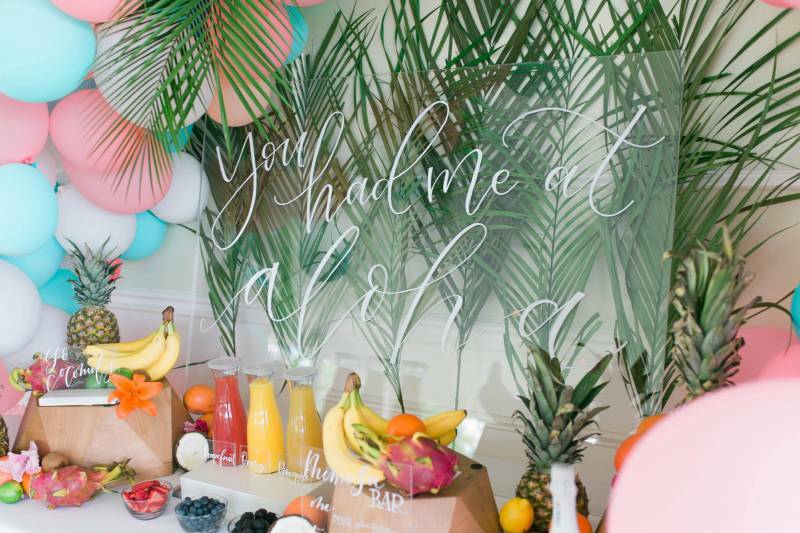 The reception is a brunch setting with ghost chairs, acrylic signs, and a balloon arch accented with palm fronds to add a light and breezy feel. 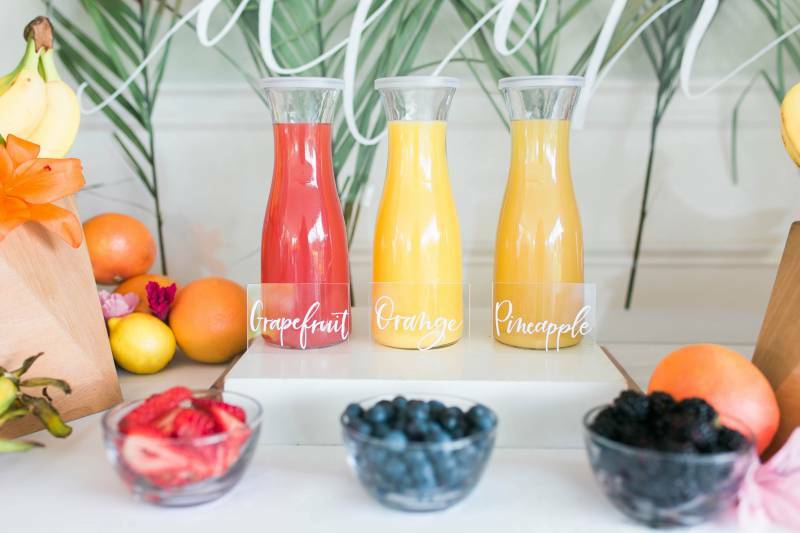 The brunch bar is filled with tropical fruit and fun make-your-own mimosa options with fresh fruit garnishes. 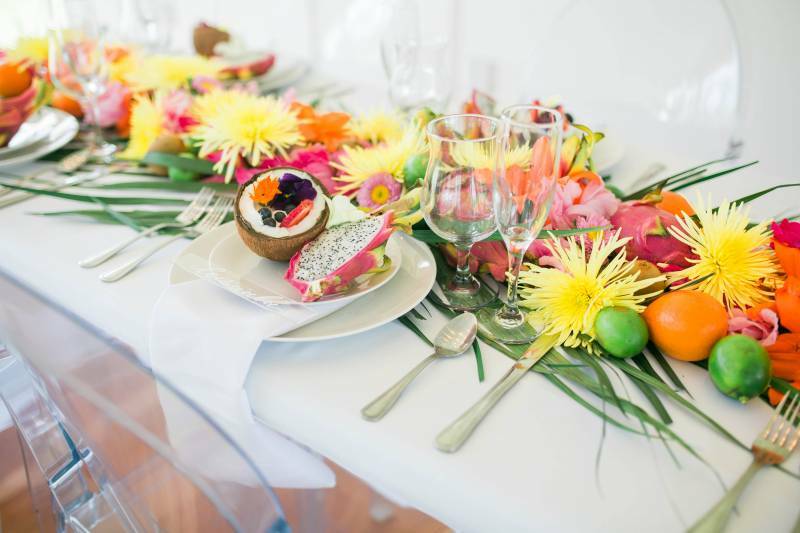 Palm fronds act as a table runner beneath fruits and bright floral in fresh colors that pop. 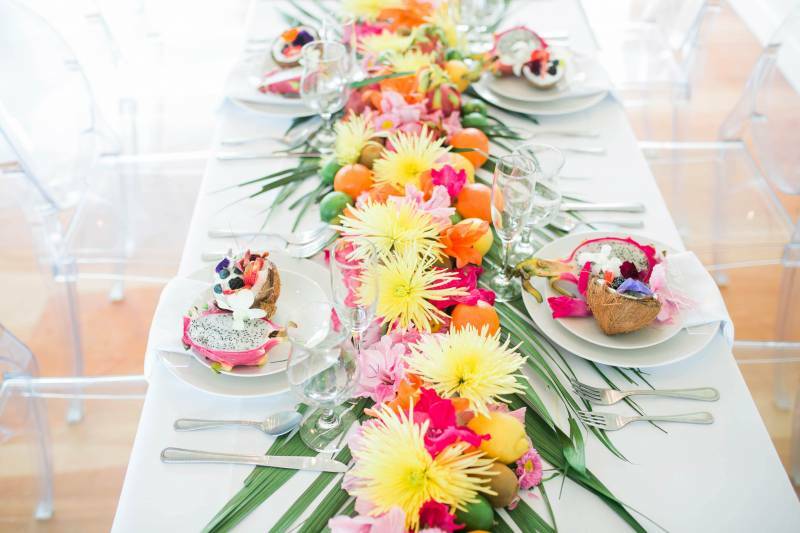 Each place setting holds a coconut bowl: a freshly-cracked coconut filled with edible flowers, fresh fruit, and yogurt. 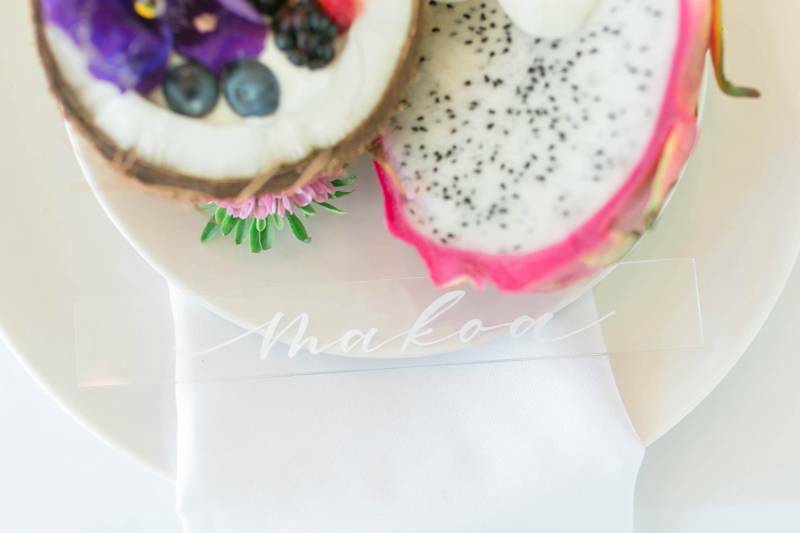 A sliced dragon fruit and acrylic name cards add pretty detail. 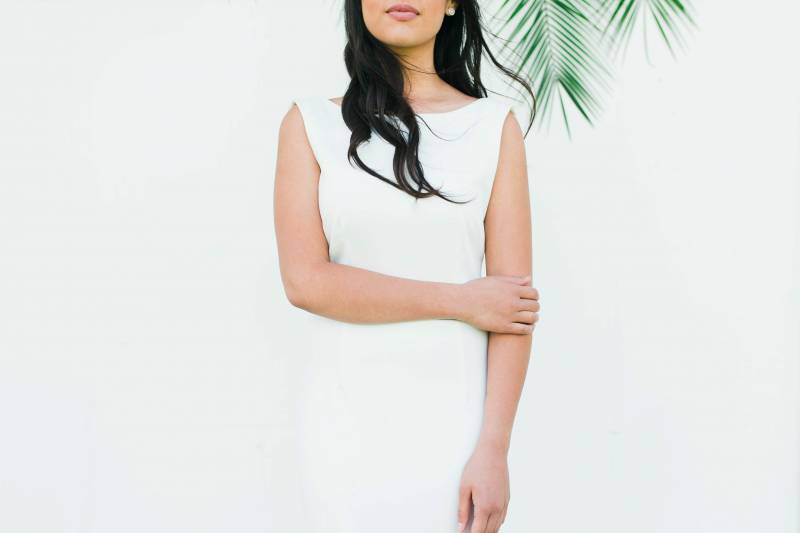 Raela of RSVP Event Designs on the attire: The bride's fun ponytail and separates tie in a modern feel, and her chiffon skirt catches the wind. 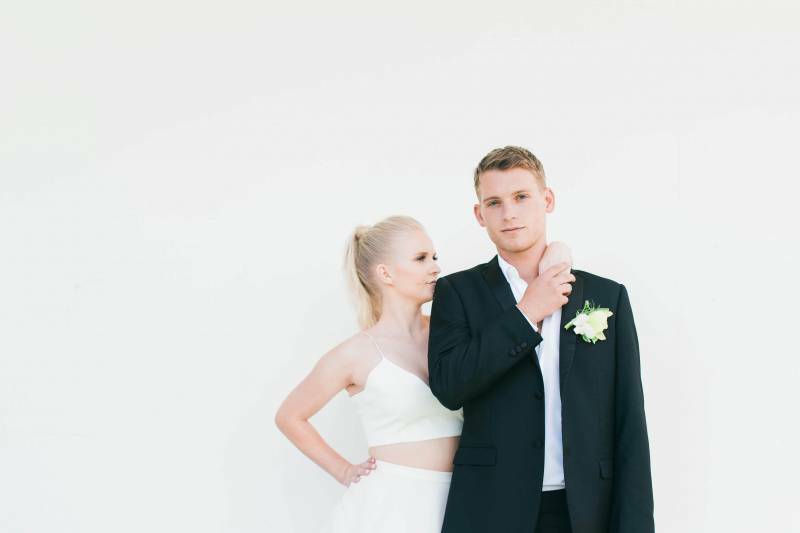 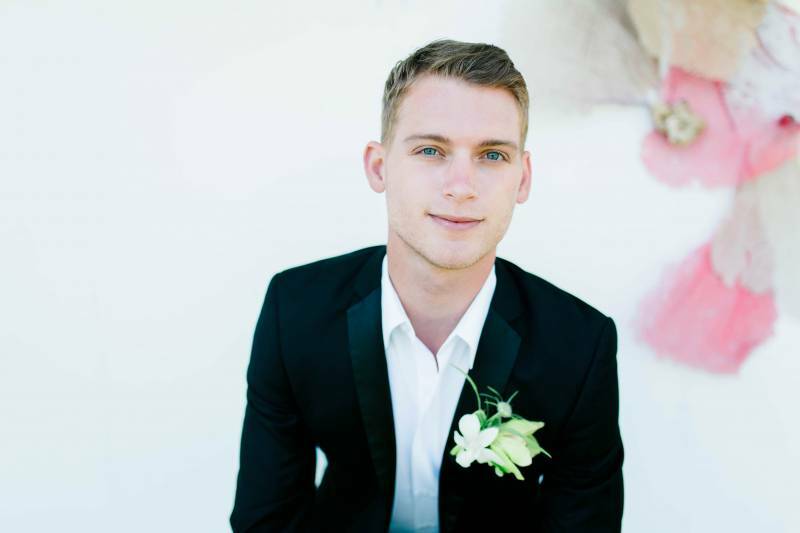 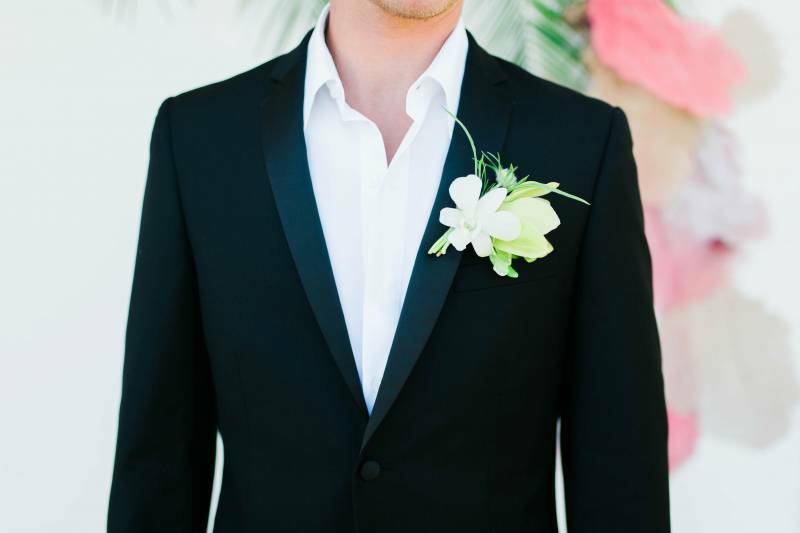 The groom is classic in black and white accented with an orchid boutonniere, but a bit more casual for a relaxed vibe. 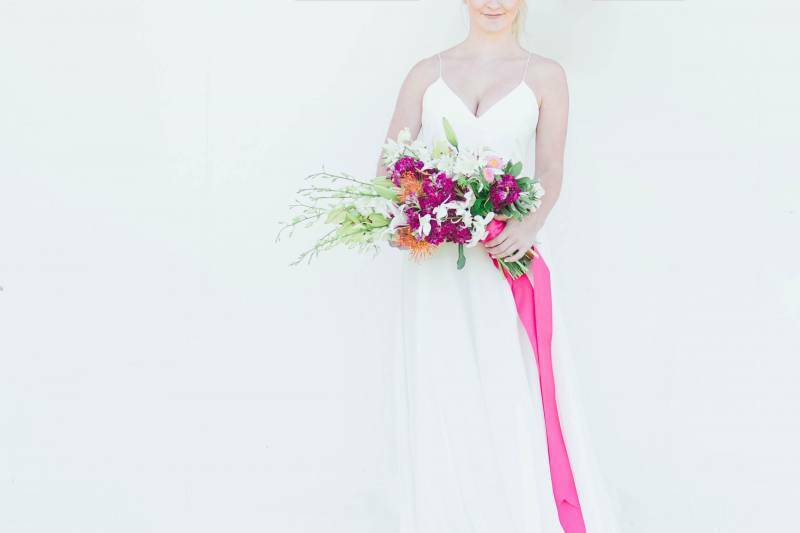 The maid of honor has a fresh take in ivory crepe and an effortless half updo. 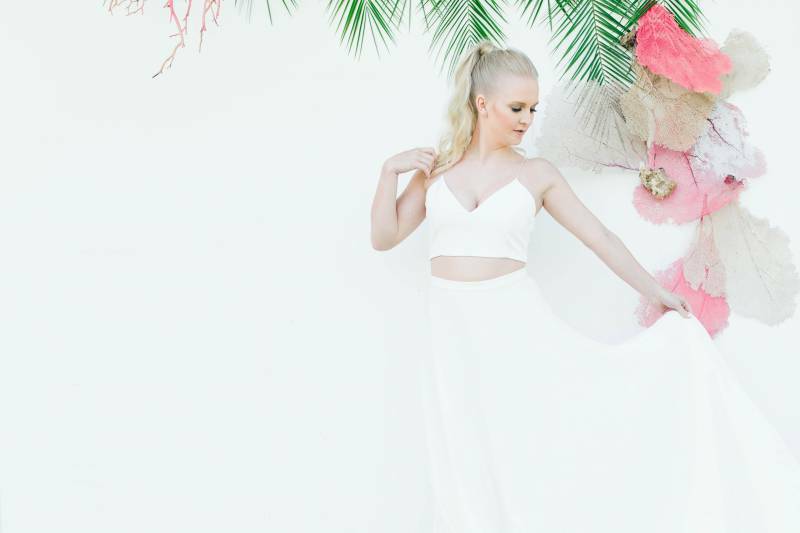 Thank you so much for sharing this shoot with us today, Raela! 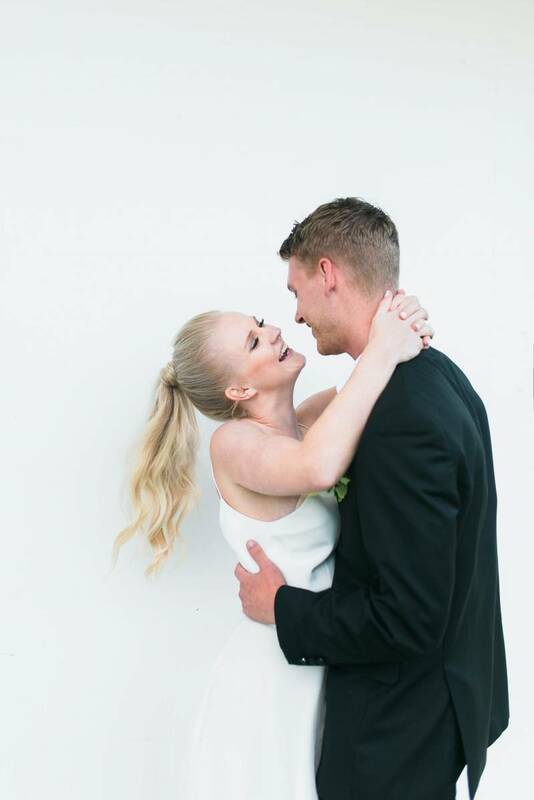 I'm obsessed! 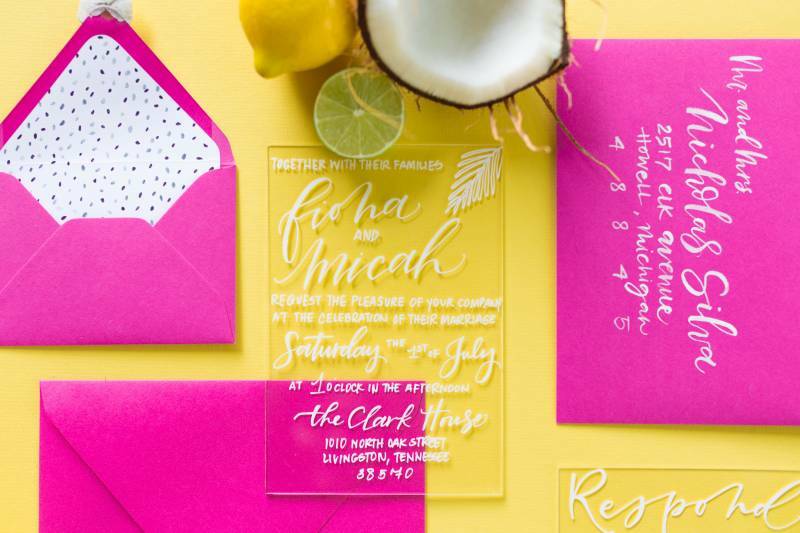 You can check out more of RSVP Event Designs' portfolio here and also be sure to follow her over on Insta!